A day after General Motors Co. announced it is investing $5 billion to gain market share and boost profits in emerging markets including Brazil, China, India and Mexico, the company unveiled new plans for Asia’s third largest economy. GM has said it will invest $1 billion in India, GM Chief Executive Officer Mary Barra said at a briefing in New Delhi on Wednesday. It will also launch 10 new domestically manufactured vehicles in India over the next five years. 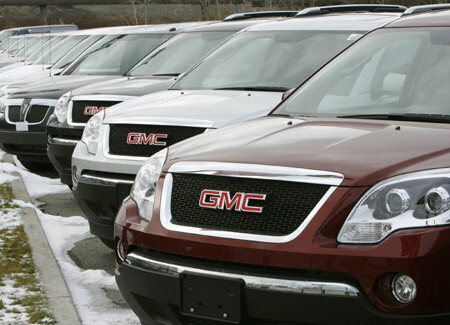 GM is planning to develop a global family of Chevrolet vehicles with Shanghai Automotive Industry Corp (SAIC), the state-owned Chinese automaker that is GM’s primary partner in China. “Vehicles will be manufactured and sold in several markets including Brazil, China, India and Mexico, and exported for sale to other important growth markets. There are no plans to export the vehicles to mature markets such as the United States,” said a press statement on the company website. “It’s our view that over the next 15 to 20 years that majority of growth will take place outside mature markets and in these growth markets. It’s all about us making significant investment in growth of these markets,” said President Dan Ammann.